President Obama’s project to “combat violent extremism,” to be showcased in a Washington “summit” on Feb. 18, cites Boston as one of three model cities that can lead the way. 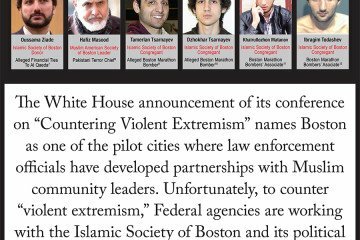 That will be a problem: The central Muslim institution that Boston law enforcement agencies are partnering with against extremism is itself extremist. The Islamic Society of Boston (ISB) and its political arm, the Muslim American Society, seen as the go-to groups for civic and law enforcement partnerships, have links to many extremists who are either in jail, in flight from federal authorities, or have been killed during terrorist attacks. In Boston, deception and self-deception have ruled: The first Islamic Society of Boston mosque in Cambridge was founded in 1982 by Abdulrahman Alamoudi, a man who convinced both Presidents Bush and Clinton that he was a moderate, but who turned out to be a Muslim Brotherhood operative. He is now serving a 23-year prison term for raising money for al Qaeda. For decades, ISB radicals have cultivated Muslim students from Boston’s schools and campuses. Some became notorious jihadis. Aafia Siddiqui, a highly regarded ISB congregant at Massachusetts Institute of Technology, raised money for al Qaeda at Boston mosques and, as “Lady al Qaeda,” became the most wanted woman in the world. Arrested in 2009 in Afghanistan with plans for a mass casualty attack on New York City, she opened fire on FBI agents and is now serving 86 years in prison for attempted murder. When informed that federal authorities labeled the Muslim American Society “an overt arm of the Muslim Brotherhood,” Boston officials again turned a blind eye. Qaradawi calls for the genocide of Jews and the murder of homosexuals. Interpol has a warrant for his arrest on charges of incitement to murder. Meanwhile, several Boston Muslim youths, inculcated with the theology of jihadism, have acted upon their convictions. Tarek Mehanna, an Islamic Society of Boston congregant who planned a machine-gun jihad attack on a mall in Attleboro, Massachusetts, was convicted in 2011 of providing material support to al Qaeda and is now serving 17 years in federal prison. Ahmad Abousamra, indicted with Mehanna, fled to Syria in 2006 where he resurfaced as an Islamic State “social media guru.” Islamic Society of Boston congregant Rezwan Ferdaus, arrested in 2011 for planning to send remote-controlled airplane bombs into the U.S. Capitol, pleaded guilty and is serving 17 years in federal prison. 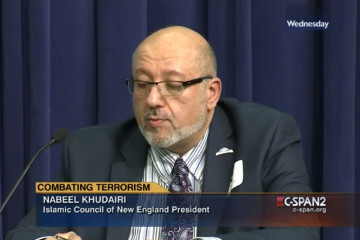 Several Islamic Society of Boston-Muslim American Society leaders themselves turned out to have been jihad supporters. Oussama Ziade, a major ISB donor indicted in 2009 for dealing with terrorist funds, is a fugitive living in Lebanon. According to The Times of India, Hafiz Masood, a Muslim American Society religious leader deported for immigration offenses, raised money and recruited people in Boston for his brother’s terrorist group, which committed the Mumbai massacre. Now in Pakistan, he is the terror group’s director of communications. Then there are the Boston Marathon bombers. Tamerlan Tsarnaev, caught on surveillance tape placing a bomb, changed his persona, according to his ex-girlfriend, after joining the ISB: “One minute he was a normal guy, the next minute he is watching these crazy Muslim videos.” His brother Dzhokhar, who occasionally attended the Islamic Society of Boston, allegedly helped place and detonate the bombs that killed four and injured 264. 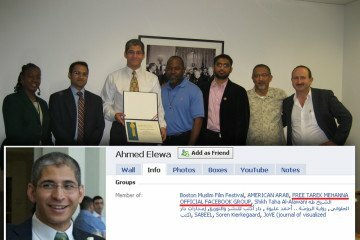 Some leaders of the Islamic Society of Boston-Muslim American Society, who are meant to partner with Boston law enforcement in Mr. Obama’s program, have defended Siddiqui, Mehanna and Masood as victims of a supposed American war on Muslims. All along, the Islamic Society of Boston has hosted speakers and programs that preach Islamic supremacism and hatred. The recently resigned Imam Suhaib Webb, who for years ran the Roxbury mosque, promotes a national program, called “Young Muslims of the Islamic Circle of North America,” which educates American Muslim youth in classical and modern jihad ideology. Islamic Society of Boston leaders work with senior levels of Massachusetts law enforcement in order to advance their own agenda. In 2010, the Massachusetts attorney general’s office publicly accepted a $50,000 grant from ISB Imam Abdullah Faaruuq to establish Muslim “sensitivity training” for the police. Under the program’s guidelines, law enforcement officers are barred from studying radical Islamist ideology as a motive for the violent extremism that the president’s program is supposed to counter. Imam Faaruuq was later found on tape urging Boston Muslims to “pick up the gun and the sword to defend Aafia “Lady al Qaeda” Siddiqui, who was then on trial. Far from being a model, Boston should serve as a cautionary tale — about deception and denial. To counter today’s “violent extremism” we need to deal with the root cause — the spread of Islamist ideology. 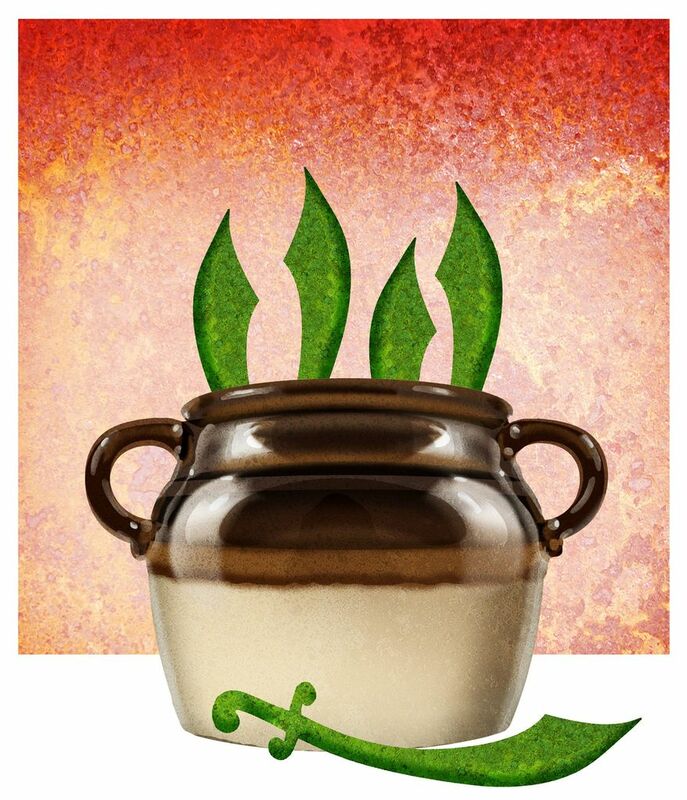 Those who promote and enable Islamist ideology should not be able to do so in secret. How many more Muslim children will be poisoned and turned into terrorists, and how may American lives will be lost before we demand to know what is being taught in America’s Islamic communities and who is doing the teaching? We must embrace the true moderate Muslims who can defend America by proactively countering the radicalizing doctrines that reach into their communities. Charles Jacobs is president and Ilya Feoktistov is research director of Americans For Peace and Tolerance.